Lewis Hodge, age 88 of Ozark, Missouri passed away Sunday, March 10, 2019 in his home, with his loving wife by his side. He was born July 6, 1930 in Branson, Missouri the son of Alfred and Isabel (Firman) Hodge. On March 28, 1959 he was united in marriage to his sweetheart, Joyce Bennehoff. 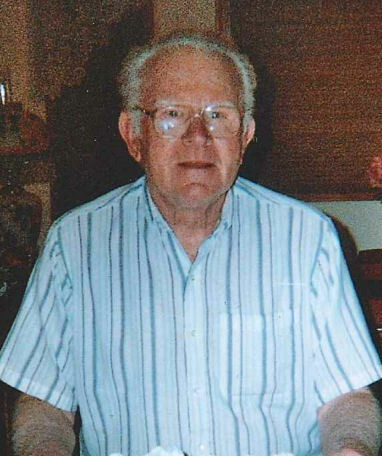 Lewis was a faithful employee with Plummer’s Local Union #130 for 45 years and retired in 1990. He was a huge sports fan and always favored the Chicago White Sox and Chicago Bulls. Lewis and Joyce spent many fun times together and always enjoyed each other’s company. They especially made lasting friendships with 8-10 special couples during their years as boat owners and members of the Waukegan Boat Club. They also enjoyed many boating events on the Mississippi River while living in the Illinois area. Lewis was surrounded by a large family of siblings including Mary Ann Mead, Ellen Rose, Leo Hodge, Homer Hodge, Jimmy Hodge, Lila Rogers and Troy Hodge all who have preceded Lewis in death, leaving one remaining sibling, John Hodge. Lewis was also preceded in death by his parents and his son, Jay Hodge on May 11, 2011. In addition to his brother, Lewis is survived by his loving wife Joyce, several nieces, nephews and other caring relatives. Lewis will be sadly missed but his loving memory will live on forever.